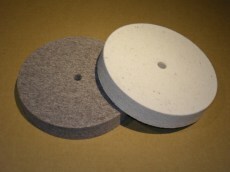 Heavy duty router mat also highly useful to retain honing stones. 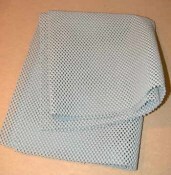 Weight 0.77gms per square metre. 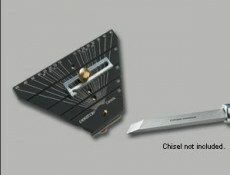 Allows work pieces to be held without clamping. 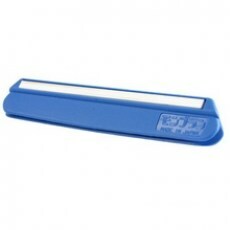 Also very useful placed on your bench as a comfortable, protective and non marring work surface. 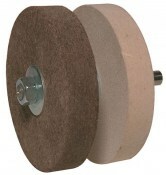 Felt wheels are usually loaded with a honing compound and used with the wheels turning AWAY from the operator. Dual felt wheel and arbor assembly. 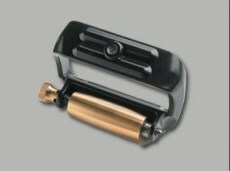 Stable, heavy duty, cushioned rubber feet and stainless steel fittings. Perfect for water stones. Skid resistant rubber bases for waterstones supplied without bases. 93 x 87 x 15mm. Most useful to hold waterstones while honing.